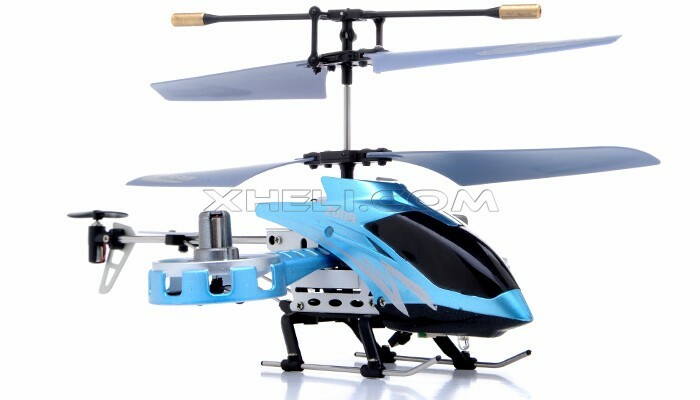 This heli newly released by Zhengrun in 2010 with an eye catching outlook. 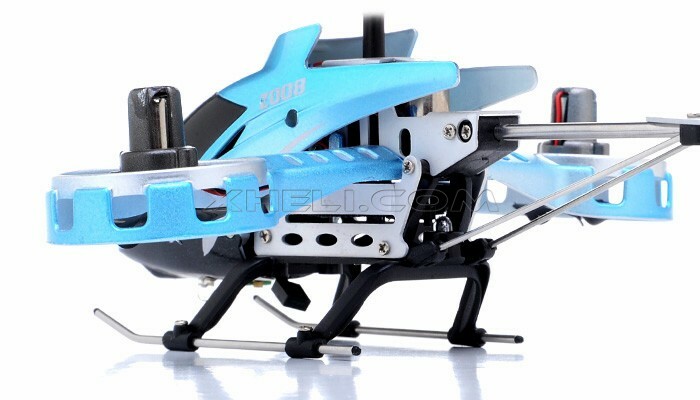 Silver blue canopy, cool streamline shape and looks like wear sunglasses. It even take care with night flying by installing some glittering LEDs! 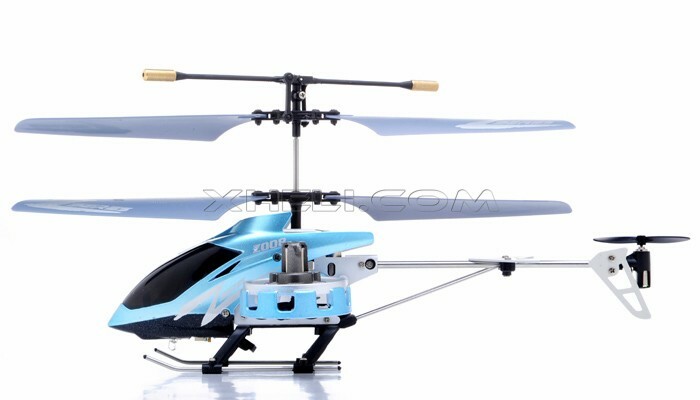 The most unique design must be its 2 rotors aside, recall me the gunship in Avatar! Maybe the manufacturer was inspired by Avatar. 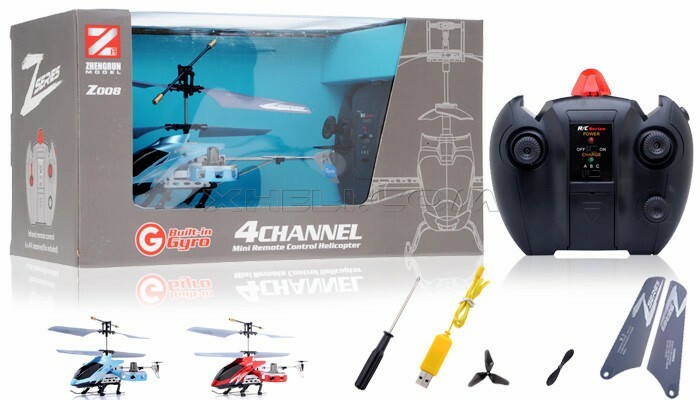 This micro size 4 channels coaxial toy heli equipped with 3.7V 140 mAh Lipo battery and 3 axis gyro. 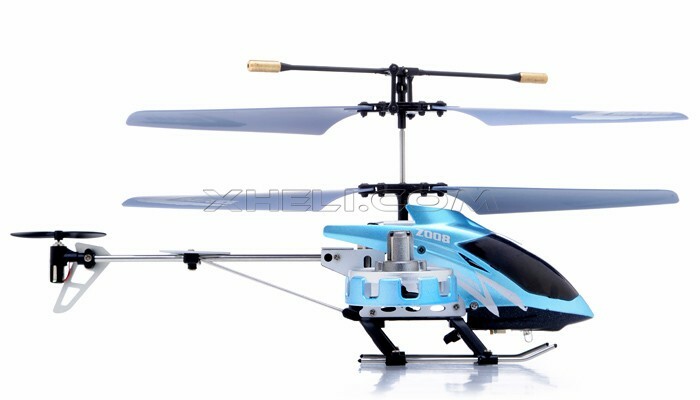 Z008 is very stable in hovering and move in all 6 directions, achieve hand free hovering without difficulties. 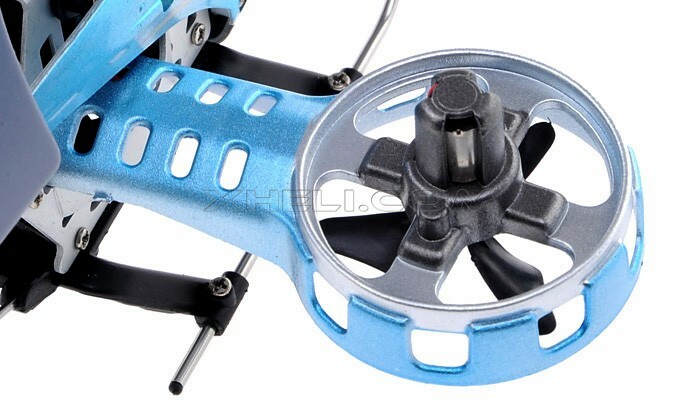 The alloy metal frame and elastic blade reduce the chance of replacement after crashes. 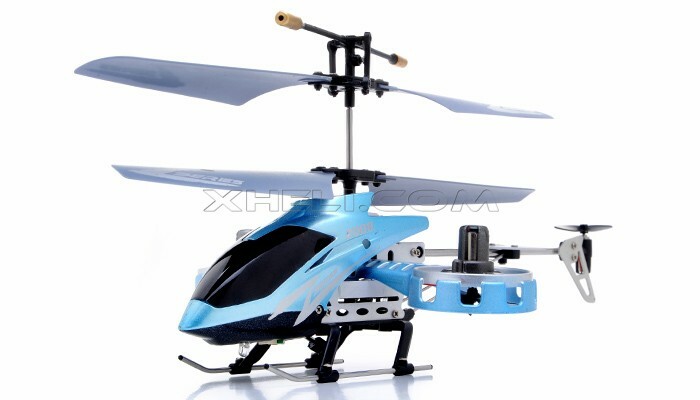 You can charge the heli through transmitter or computer through USB wire, which is a flexible and user friendly feature commonly found on micro size heli. 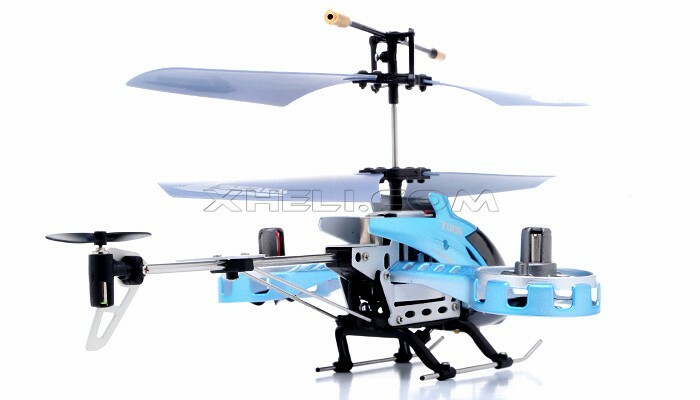 Also, z008 allow you to play with 3 helis at the same time with your friends, as it offers 3 selectable bands. ?Charging Time: Approx. : 20-30 min.